Places of peace and rest require an appropriate infrastructure which includes public toilet facilities. Hering provides the solution in the form of built-in or free-standing toilet facilities. 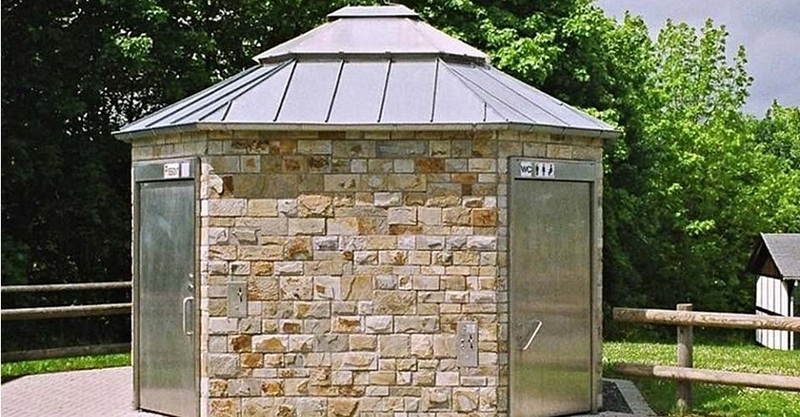 The lightweight or built-in toilet facility is made from a steel frame construction with thermal insulation. This system includes a maximum of two toilet cabins and the interior is furnished with ceramic toilet fittings and fixtures. Regrettably, vandalism in cemeteries is not uncommon due to the deterioration of social restraints, and clients therefore often opt for a free-standing toilet facility constructed from solid concrete elements, which are specifically equipped with vandal resistant materials. Despite their robust features these facilities can be made to adapt to the environment through an appropriate material and colour design. 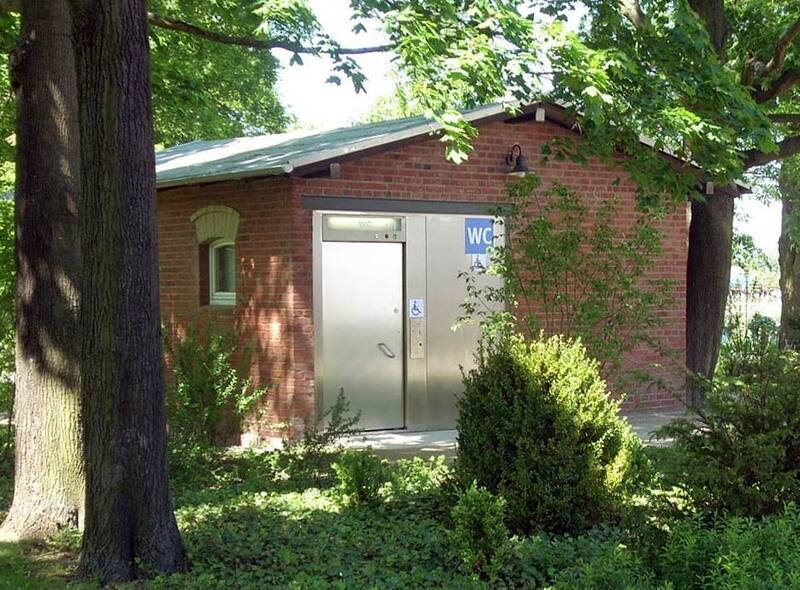 Freestanding toilet facilities can be personalized with water points, benches or bicycle stands etc and of course all facilities can be constructed according to accessibility standards such as the ADA/DDA or DIN 18024/ 18040. 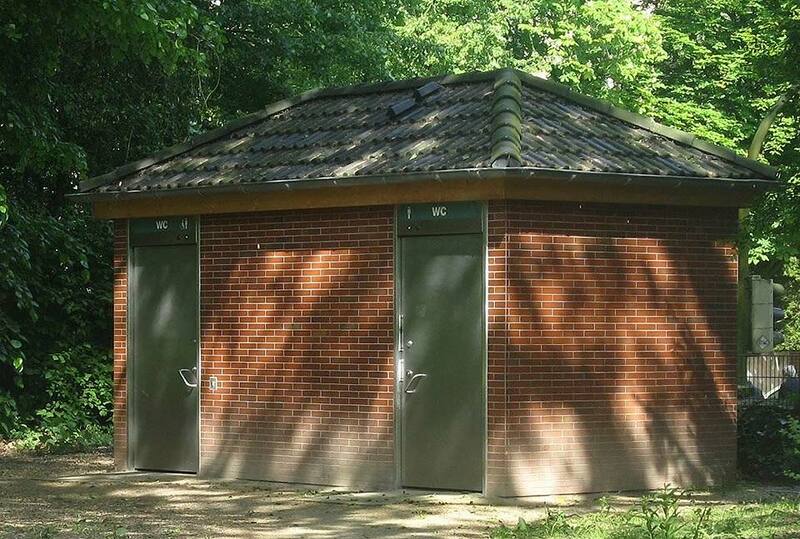 Toilet facilities by Hering make a central contribution to the amenities of a cemetery. 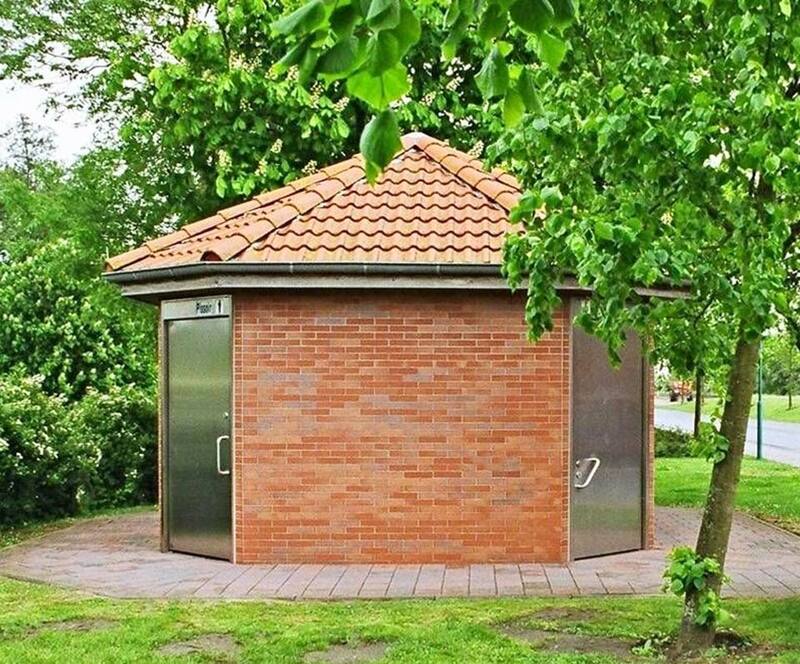 Picture gallery "Toilet Facilities for Cemeteries"